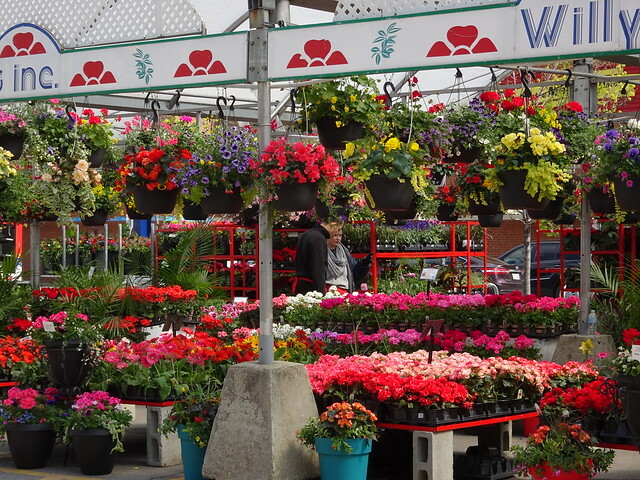 A profusion of flowers waiting for buyers sit in the chilly air. The stalls are all set up and full of many colours. I don't envy the sales people who stand outside all day. Temperatures only reached around 10°C (around 50°F) and there was a stiff, cold breeze. 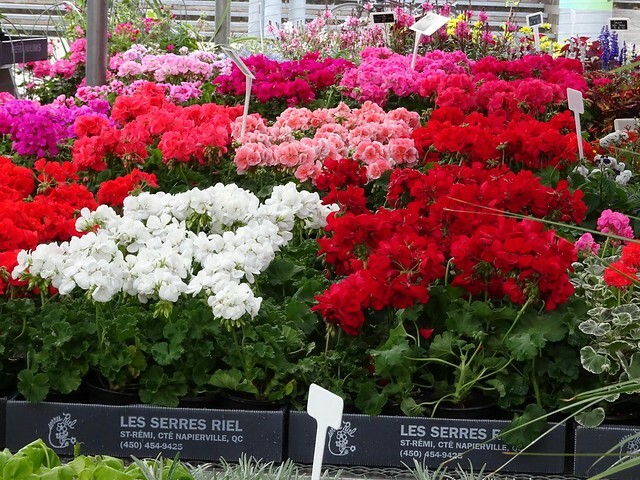 If you have a smaller space, you can purchase a ready planted basket. 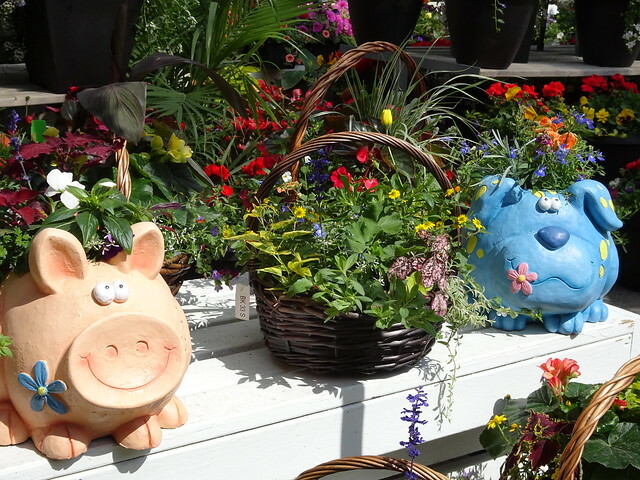 These animal planters were new to me this year. I don't think one will be making its way to my balcony. I love to see the sea of flowers. 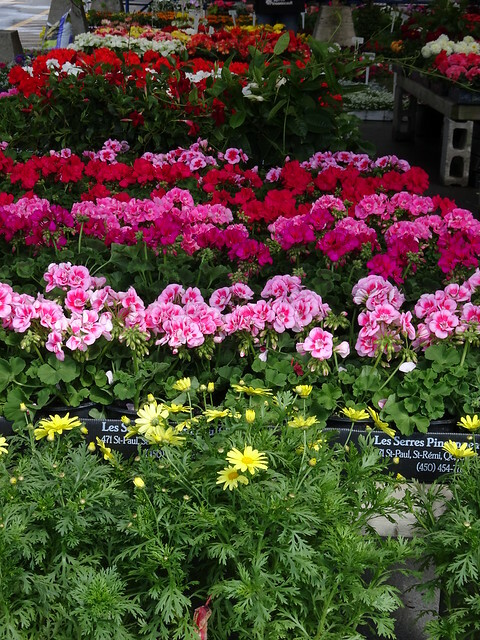 And then there are the decisions of what to plant this year.